Armodafinil vs Modafinil - Is Nuvigil Different From Provigil? How? The armodafinil vs modafinil debate comes up frequently in nootropics circles. Both are popular wakefulness-promoting smart drugs. They’re also closely related to each other both structurally and in their effects. Of the two, modafinil is hands down the one most of us would be familiar with. Over the years it has gained massive popularity (and fame) in many high-performance professions, where any sort of an edge can be a huge advantage. It well deserves its status as the real world equivalent of the Limitless pill. Armodafinil is an enhanced version of Modafinil. It produces mostly similar effects, though there are a few subtle differences between the two. It’s also a lot more potent. You would expect that most people would prefer the enhanced version of anything (and hence, flock to armodafinil). But, at least in this case, that’s not necessarily true. And that’s really why we’re here. 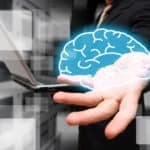 Let’s get to know modafinil and armodafinil better, understand how they are similar, how they differ and why you would want to pick one over the other. Modafinil is a eugeroic compound, a wakefulness-promoting agent. It was initially intended to treat sleep disorders and narcolepsy. Lafon Laboratories, a French pharmaceutical lab, first produced a series of benzhydryl sulfinyl compounds in the 1970’s. Those compounds included adrafinil and modafinil. In fact, it was during a study to determine adrafinil’s mechanism of action when the latter was discovered. Adrafinil metabolizes in the body to produce modafinil, one of the biggest differences between the two. 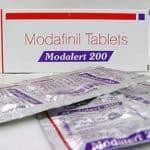 Since ultimately modafinil is the compound which generates stimulant-like effects, it was it, not adrafinil, that started to be mass produced. It sells under the brand name Provigil. Modalert and Modvigil are popular generic alternatives. 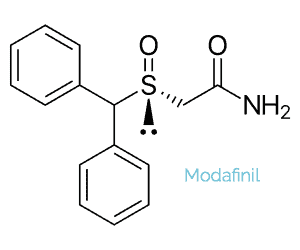 In recent years, we have seen a rise in the off-label use of modafinil. More and more people simply looking to get more stuff done turn to it. Students, professionals, you name it. This is probably not something the French had intended, but we are where we are. It significantly improves focus, increases energy and motivation levels. It also provides a mood boost. Take it from me, it’s a blessing when starting down a dull task at work. Armodafinil is a more potent version of modafinil. It too has been approved for the treatment of narcolepsy, though not until much later. The U.S. Food and Drug Administration didn’t give it a stamp of approval until 2007. 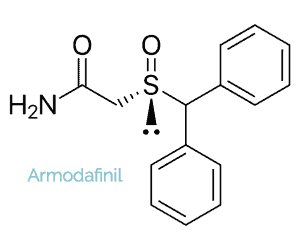 Structurally, armodafinil is the isolated R-enantiomer (right enantiomer) of modafinil, its most potent psychoactive compound. Think of it as modafinil’s bigger brother. This is also the reason why the tablets come in smaller doses. Because big brother wasn’t approved for use until relatively recently, there are much fewer studies on it compared to modafinil. Hence, we know a lot less about it. Most of us know armodafinil under its brand name Nuvigil. It’s a product manufactured and sold by Teva Pharmaceutical Industries. The most reliable generic versions of it include Waklert and Artvigil (made by Sun Pharma and HAB Pharma respectively). Structurally, two enantiomers make up modafinil: the R-enantiomer and the S-enantiomer. The two compounds are flip-copies of each other, just like your right hand and your left. Armodafinil consists of only the R-enantiomer of modafinil (in medical jargon, it’s an enantiopure version of it). I turned out the R-enantiomer gives much stronger psychoactive effects. This discovery is ultimately what drove scientists to isolate and produce it as a stand-alone drug. Both armodafinil and modafinil exist to fight sleep disorders. Hence, they both help you stay focused and awake for longer. Indeed, both have worked well for me in precisely those ways. At a more granular level, both nootropics will significantly increase your reasoning speed, reaction times, energy levels and attention span. Since they’re so closely related, armodafinil’s and modafinil’s half-lifes are also very similar. They’re both around 8 hours. The total duration for both is between 14 and 16 hours (this includes the onset, duration and offset periods). The potential side-effects for modafinil and for armodafinil are also quite similar. Their frequency is nearly identical too. Specific adverse effects may include increased anxiety, headaches (always stay well hydrated), dizziness, nausea, diarrhea and chest pain. As is the case with most drugs, there is also a tiny chance of more severe problems. This, again, is true for both smart drugs. These issues could include suicidal thoughts, mania, hallucinations, rashes or allergic reactions. This probably goes without saying, but if at any point you run into any of those rarer effects, stop using whichever of the two substances you’re using right away. Then talk to a doctor. Most side-effects will be dose-dependent. For both substances, the higher the dose, the more likely you are to run into issues. So, unless you have a good reason to do so, keep the dosage down. If it turns out you experience side-effects no matter what you do, there are also several alternatives to armodafinil and modafinil worth investigating. You will not, of course, get the exact same benefits. But, depending on your goals, the benefits you do get may be close enough. You should also be careful about both drugs interacting with other medication you may be on, another similarity they share. Definitely don’t take either if you’re on diazepam, midazolam, triazolam, phenytoin, propranolol, omeprazole or birth control pills. In all other cases, talk to your physician to avoid any unpleasant surprises. 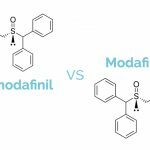 Even though modafinil and armodafinil share so many similarities, the two can still produce different effects. 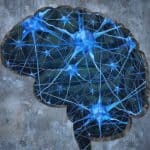 You can partially chalk this up to the subjective nature of nootropics and our unique brain chemistries. The biggest difference between the two smart drugs is the dosage needed to get the same effect intensity. As a general rule, 150 mg of armodafinil is the equivalent of (and feels similar to) 200 mg of modafinil. But, as is the case with every nootropic, you’ll ultimately need to do some testing to find the optimal dose for you and your purposes. Beyond this, information on the differences between the two is pretty vague and subjective. This is mostly because of how little research has been done on armodafinil. I don’t find this myself. But, some user reports suggest modafinil produces better mood and motivation-enhancing effects than armodafinil. People have also reported that the latter can produce higher levels of anxiety. Again, not something I have experienced myself. Personally, I actually find armodafinil to produce a cleaner “high”. I experience a clear focused mental state and don’t register any of the slightly euphoric feelings I usually get from modafinil. For me though, that’s not necessarily a positive. I find that the slightly euphoric feeling is quite good for creativity and improving my mood when I’m down or fatigued (or hungover). Starting and finishing any dull tasks is also easier. With armodafinil, it’s harder to experience up and down periods of emotion. It makes feelings go a bit flat. This makes your current mental state harder to change. As I said, for me, that’s not necessarily a positive. For you, depending on your desired state of mind, it can go either way. I do find it way harder to fall asleep at night after taking modafinil. On the days I take it, I tend to supplement with other herbal sleep aids like ashwagandha or Brahmi before hitting the hay. With armodafinil, I find that unnecessary. One last thing worth noting is that tolerance seems to build up faster from modafinil than armodafinil. Both have low addictive potential. But, if you plan on taking one several time as week, which is the safer choice is clear. In generic form, armodafinil is a bit more expensive than modafinil. But, the difference is not big enough for the cost to be an argument for picking one over the other. I always get generic versions of armodafinil and modafinil online, usually in batches of 300 tablets. The price ends up less than 1 USD per pill. In general, you’re looking at a 15% price difference (give or take a few percentage points). It’s hard to say if armodafinil or modafinil is better. The decision is very subjective. Armodafinil is relatively new remember. So, there isn’t much scientifically-backed information which shows one a better choice over the other. I’ve given you my personal experience and opinion above and I do lean towards modafinil. If you’d like to get feedback from other users, Reddit, Longecity or other nootropics related forums can be great sources of information. Anecdotal reports may help you see what the general consensus is on effects, side-effects, addiction potential and in general, what to look out for. Ultimately, the two smart drugs are very similar. Both produce a heightened state of awareness, focus, and confidence. They’re also really, really good at keeping you awake. Those are all things you want to be feeling when you need to get stuff done. Though armodafinil is a purer and enhanced version of modafinil, it’s not necessarily what most people prefer (myself including). And unfortunately, they only way to really find out which will work better for you is simply to try them both. But, if a bit of experimentation is just not your cup of tea (and fair enough), I’ll make the armodafinil vs modafinil choice easy for you. Go with modafinil. It’s the better researched and more popular of the two options. 1. ^ Daniel Loube, et al. The Role of Modafinil in Treating Sleep Disorders. Sleep Review. (2002) May 1. 2. ^ Edward Teitelman. Off-Label Uses of Modafinil. The American Journal of Psychiatry. (2001) Aug 1. 3. ^ S Coelho, et al. Modafinil as an off-label drug to treat refractory depression: a case report. Psychiatry. (2014) Aug 1. 4. ^ Melinda Wenner Moyer. A Safe Drug to Boost Brainpower. Scientific American. (2016) Mar 1. 5. ^ Ahmed Dahir Mohamed. Effects of Modafinil on Motivation and Salience of Pleasure in Healthy Individuals: Quantitative Evidence From the Cognitive Neurosciences. AJOB Neuroscience. (2015) 6:1, 15-17. 6. ^ U. Muller, et al. Effects of modafinil on non-verbal cognition, task enjoyment and creative thinking in healthy volunteers. Neuropharmacology. (2013) Jan; 64(5): 490–495. 7. ^ Randall DC, et al. Modafinil affects mood, but not cognitive function, in healthy young volunteers. Hum Psychopharmacol. (2003) Apr;18(3):163-73. 8, 14. ^ Dongsoo Kim. Practical Use and Risk of Modafinil, a Novel Waking Drug. Environ Health Toxicol. (2012) 27: e2012007. 9. ^ Taneja I, et al. A randomized, double-blind, crossover trial of modafinil on mood. J Clin Psychopharmacol. (2007) Feb;27(1):76-9. 10, 16. ^ Darwish M, et al. Armodafinil and modafinil have substantially different pharmacokinetic profiles despite having the same terminal half-lives: analysis of data from three randomized, single-dose, pharmacokinetic studies. Clin Drug Investig. (2009) 29(9):613-23. 11. ^ Maria I. Lapid, et al. Efficacy, Safety, and Tolerability of Armodafinil Therapy for Hypersomnia Associated With Dementia With Lewy Bodies: A Pilot Study. Dement Geriatr Cogn Disord. (2017) Jul 10. 12. ^ Claus J. Loland, et al. R-Modafinil (Armodafinil): A Unique Dopamine Uptake Inhibitor and Potential Medication for Psychostimulant Abuse. Biol Psychiatry. (2012) Sep 1; 72(5): 405–413. 13. ^ Wisor JP, et al. Armodafinil, the R-enantiomer of modafinil: wake-promoting effects and pharmacokinetic profile in the rat. Pharmacol Biochem Behav. (2006) Nov;85(3):492-9. 15. ^ Paul Gerrard, Robert Malcolm. Mechanisms of modafinil: A review of current research. Neuropsychiatr Dis Treat. (2007) Jun; 3(3): 349–364. 17. ^ D. V. Tembe, et al. Armodafinil versus Modafinil in Patients of Excessive Sleepiness Associated with Shift Work Sleep Disorder: A Randomized Double Blind Multicentric Clinical Trial. Neurology Research International. (2011), Article ID 514351, 6 pages. 18. ^ Raman Krishnan, Krishnan Vengadaragava Chary. A rare case modafinil dependence. J Pharmacol Pharmacother. (2015) Jan-Mar; 6(1): 49–50. 19. ^ Jerry Jason M, et al. Addiction to Armodafinil and Modafinil Presenting With Paranoia. Journal of Clinical Psychopharmacology. (2016) Volume 36; Issue 1: 98–100. Adrian Carol is the editor-in-chief at Nootrodelic where he blogs about nootropics, psychedelics and responsible use. He's also a freelance writer, a music producer, and a bass guitarist. Regardless of what he's writing about, Adrian strives to keep his readers engaged and well informed.